Symone Abbott readies for a swing. Abbott and the Wildcats took two of three in their season-opening tournament. Northwestern might finally have the one-two punch it’s been looking for. In the past, the Wildcats (2-1) have relied heavily on senior outside hitter Symone Abbott, consistently setting her 50 to 60 times per game. But NU’s opener on Friday against South Florida (1-2) changed that narrative. In her collegiate debut, highly touted freshman outside hitter Nia Robinson racked up 20 kills on 45 attempts, while Abbott finished the day with 13 kills and 13 digs en route to a 23-25, 25-23, 29-27, 25-19 win. Coach Shane Davis didn’t give his first recruiting class any time to sit and watch, giving plenty of playing time to freshmen in the first match of the season. Freshman middle hitter Alana Walker got the start across from senior Gabrielle Hazen and racked up five kills, while freshman opposite Danyelle Williams finished with eight kills. At times, the Cats played with an all-freshman front line of Robinson, Walker and Williams. Sophomore libero Sarah Johnson held on to her starting spot and finished with 20 digs in the win over the Bulls, while sophomore Emily Ehman and freshman Lexi Pitsas each got playing time as defensive specialists. On Saturday, NU faced a double-header with a quick turnaround, facing LSU in its first contest. The Cats started off strong but ultimately couldn’t close the deal, falling 18-25, 21-25, 25-19, 25-23, 15-13 to the eventual tournament champions. Against the Tigers, it was Abbott who led the way with 24 kills on 64 attempts to go along with 10 digs, while Robinson finished with 13 kills on just 33 attempts. Hazen was solid again, finishing with 11 kills on 19 attempts. Senior setter Taylor Tashima had 48 assists while Johnson had 19 digs. In a match that started shortly after the conclusion of the loss to LSU, NU easily dispatched Arkansas-Pine Bluff, 25-14, 25-10, 25-14. In their final match of the tournament, the Cats rested some of their starters, and Walker was the only player with double-digit kills, finishing with 10. 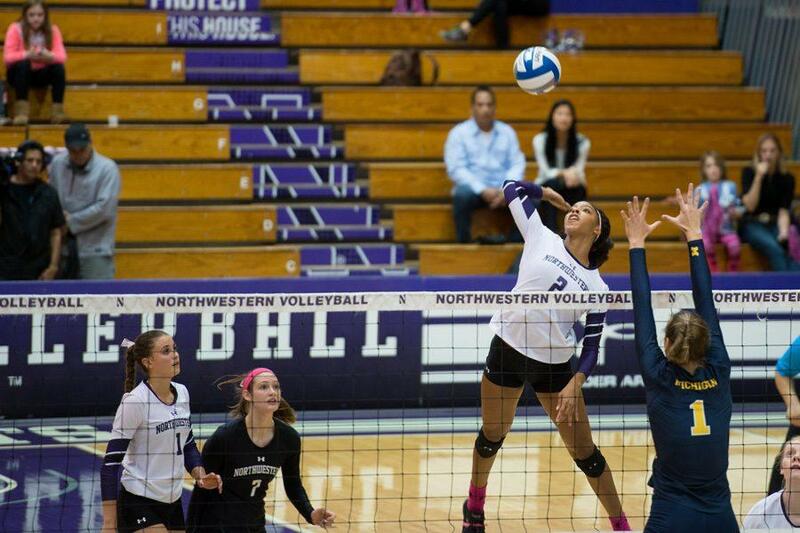 Robinson finished with 8 kills on 11 attempts, good for a ridiculous .727 hitting percentage, which, although a small sample size, was tied for the 10th best hitting percentage in a game in NU history. Both Abbott and Hazen were named to the all-tournament team. After a short layoff, the Cats will face off against South Carolina, Duke and North Carolina-Wilmington at the Duke Invitational starting on Sept. 1.